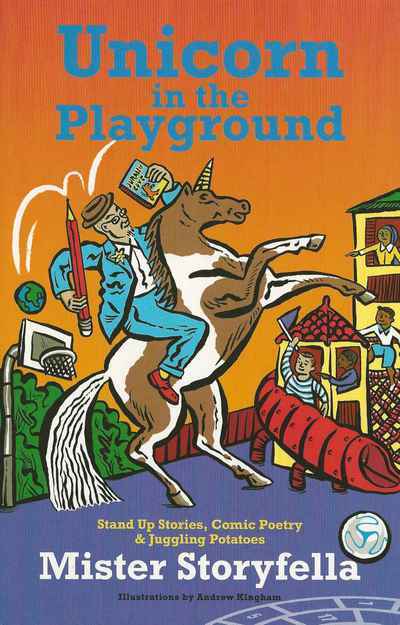 Unicorn in the Playground is a selection of old and new material: some to be spoken sung or shouted out loud; some to be read curled up in bed. This paperback oozes with the vitality and variety you’ll find in his one man shows. Here’s startling stories, laughable lyrics, poems that punch and jokes that won’t lie down. All this accompanied by the illustrious illustrations of his long-time friend and collaborator, Andrew Kingham.